Nearly a year after Mitsubishi unveiled the concept car in Japan, the production version of the new Outlander Plug-in Hybrid EV (PHEV) has been unwrapped at the 2012 Paris Motor Show. The PHEV will first go on sale in Japan early next year, followed shortly after by Europe, North America, and other regions around the world. Mitsubishi says the new generation of the Outlander was developed from the beginning to be offered with a plug-in hybrid drivetrain. 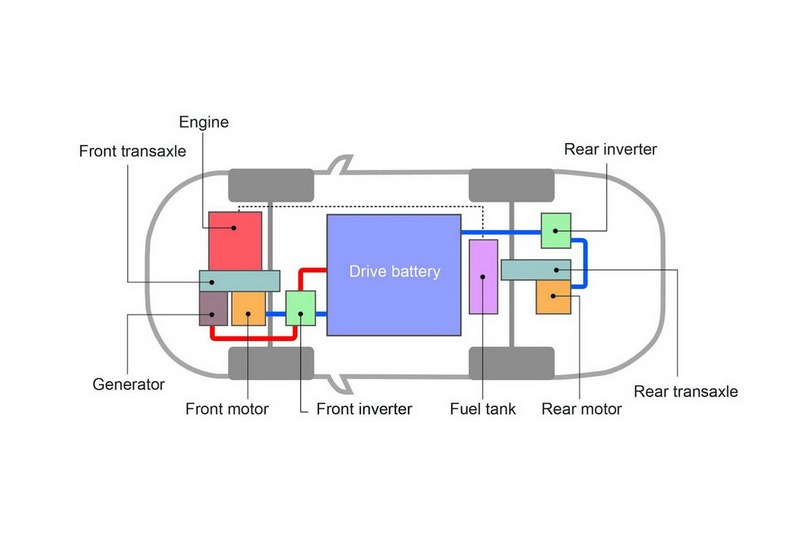 The system incorporates a 2.0-liter petrol engine up front, a 60kW (80Hp) electric motor, inverter and generator located on the left side of the engine compartment, a 12kWh battery pack stored under the floor within the wheelbase and a rear 60kW (80Hp) electric motor and generator located under the floor. 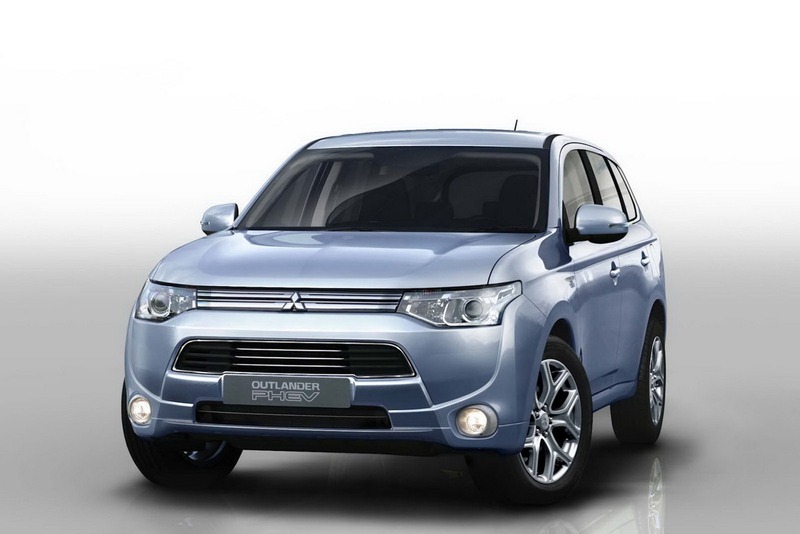 The Outlander PHEV can be driven in three different modes using various combinations of the petrol engine and electric motors. 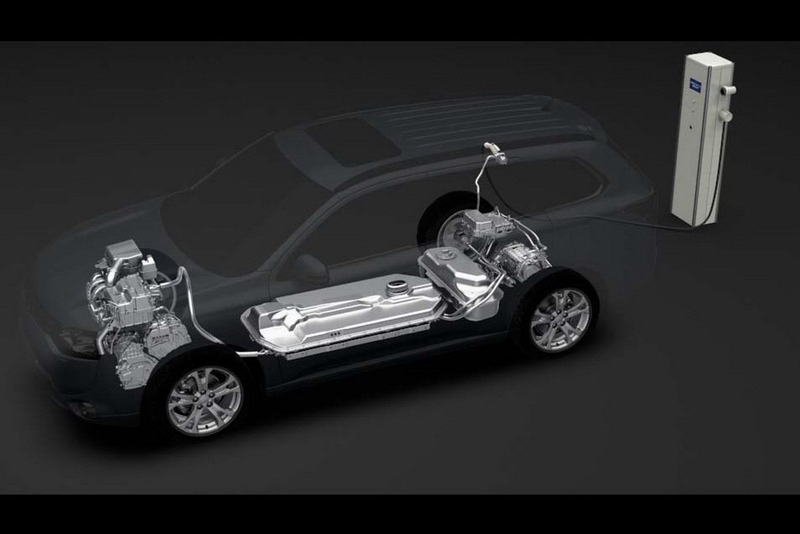 In Pure EV mode, the crossover is powered by the front and rear electric motors alone that offer a driving range of 55km (34 miles), while in Series Hybrid mode, the gasoline engine operates as a generator supplying juice to the electric motors. Finally in Parallel Hybrid Mode, the 2.0-liter unit drives the crossover assisted by the electric motors whenever required. The automaker says the Outlander PHEV will return an estimated combined fuel efficiency in excess of 61 km/liter (equal to 143.5 mpg US, 1.64 lt/100km and 172 mpg UK) on the Japanese driving cycle, with the use of the batteries that can be charged in around 4 hours. This entry was posted in Fargo, Import Dealer, Just Released, Mitsubishi, ND, Valley Imports and tagged Fargo, Mitsubishi Showcases, ND, New car, New Outlander, Plug-in Hybrid. Bookmark the permalink.